Some watches are big for the sake of being big. Other then a large diameter they have very little to offer. There is, however, a category of watches that not only uses all the real estate they have available, but they also need it! They feature movements that fill the case and require large dials to show a multitude of complications in a fashionable order. 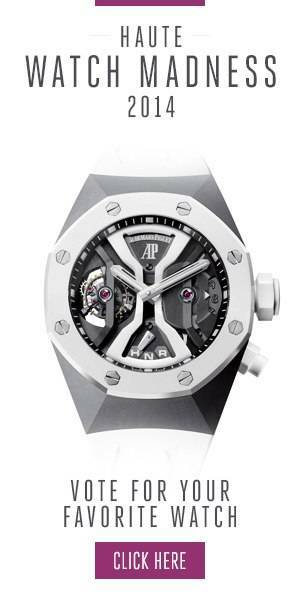 They are the behemoths of the Haute Horlogerie, and they are large for a good reason! It is actually quite an accomplishment that Vacheron Constantin only needs a 45mm case to house the 23(!) different complications that make up the Les Cabinotiers Celestia Astronomical Grand Complication 3600. The most complicated wristwatch that the brand has ever made features a wide variety of mainly astronomical complications and uses to display them both the front and the back of the watch. They really use the space of this large watch well, not only to deliver all the information that this big watch has to offer in a comprehensive and easy to read way, but they also manage to give it a power reserve of no less than three weeks! At Greubel Forsey, they like to keep their watches complicated and their names easy. The term ‘GMT’ doesn’t even come close to describe what this watch has to offer. Next, to a second time zone does it feature an eyecatcher rotating globe with universal time and day-and-night, but it also tells you the summer and winter times of the different time zones and which cities they observe them. To ensure precise time-keeping does this Greubel Forsey also feature a 25° inclined tourbillon that makes a full rotation in 24 seconds. With a diameter of 43.5mm is this not even the largest, complicated watch on the market, but to be honest, it also doesn’t really quite fit in this diameter, as the case bulges out to accommodate the three-dimensional earth and tourbillon. With a diameter of 47mm is this Jaquet Droz big! However, it also needs to be as it not only tells you the time but also has to provide enough room for the bird inside your watch to live. Famous for their automatons does this watch offers a bird that whistles, twists and flaps its wings, all under a sapphire dome on the dial of the watch. That it does so all completely mechanically is an incredible feat, and then 47mm seems all of a sudden quite small to accomplish all this. The watch was offered in a few varieties, but the beauty of this one is that you can see the mechanics that make the unique feature of the watch possible. While you would expect it would take away from the magic, it actually only adds to your admiration for this amazing watch. A. Lange & Söhne is a very practical brand; they usually only go big with their cases when they need the space to create something unique. In case of the Triple Split, you can take this very literally as this watch offers a rattrapante function on not only the seconds but also the hours and the minutes. Given that accomplishment, it is commanding that they have kept the size of this highly complicated manual wind watch at 43.2mm. The triple split goes further, where the Double Split from 2004, also by A. Lange & Söhne, stopped and increased the range in which two events can be timed to twelve hours. A unique feature in the world of Haute Horlogerie, and space well used within the large case of this watch.